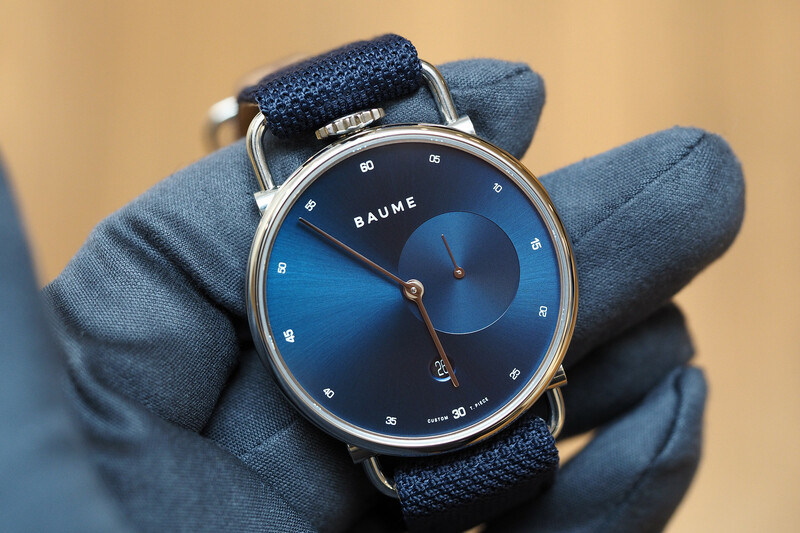 Baume Watches is a contemporary spin-off of Baume & Mercier. An even more accessible brand than the Richemont Group’s longtime entry-level brand. Baume Watches, at the quartz end, can be customized online. There are two case sizes to choose from 35 mm and 41 mm. 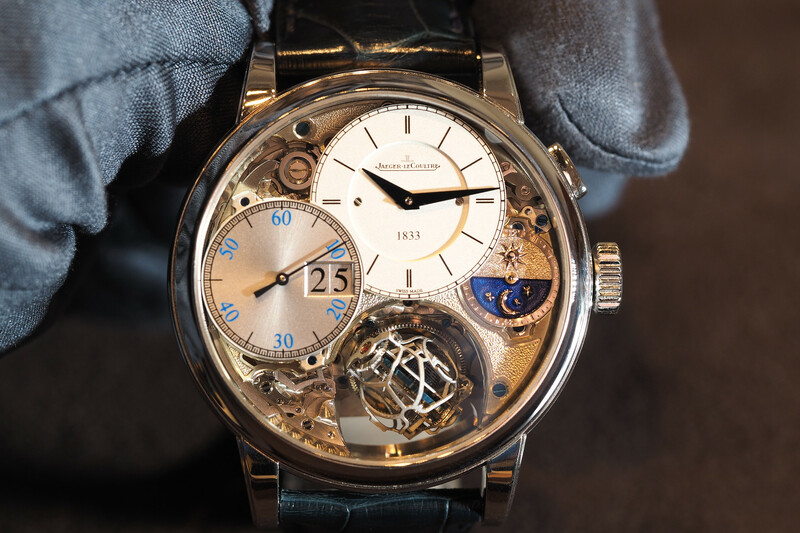 The former is available in a Small Second or Moonphase dial configuration, the latter is available in a Small Second or Retrograde dial configuration. There are three stainless steel case options: gold, black, or polished. A variety of dial colorways can be chosen, and then the customization process is completed with your choice of a vegan strap. Currently, the custom configurator is only available for the aforementioned quartz models and costs $560 for Small Seconds (35 mm / 41 mm), and $630 for either Retrograde (41 mm) or Moonphase (35 mm) models. 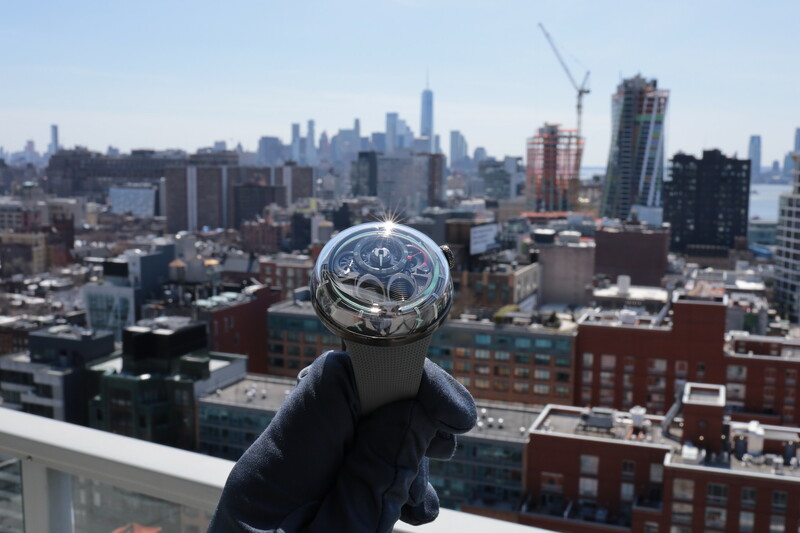 In addition to these quartz timepieces, starting at $1,100 there are “special edition” automatic mechanical watches available within the 41 mm case size. These watches feature aluminum cases and are driven by Miyota caliber 82D7 movements with 42-hours of power reserve, visible through an open caseback. The black watch shown has an aluminum case combined with wood taken from skateboard decks. These cost $1,350. Finally, in an effort to work with the sustainable community, and to have points of sale that allow the mostly online brand to let consumers see the watch in-person, Baume has partnered with the young Paris based clothing brand éclectic, which has three stores in Paris and one in Soho (which is where these photographs were taken), and has the entire collection for sale in all stores, as well as some exclusive pieces. Like Baume, éclectic utilizes recycled materials and focuses on sustainability, and has a similarly clean, ultra-modern aesthetic.